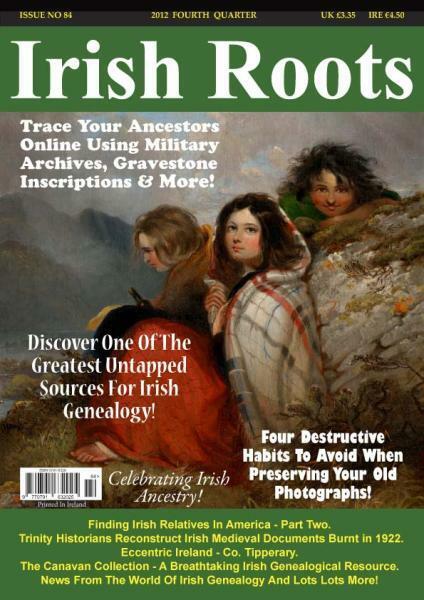 Irish Roots is a quarterly genealogy and family history magazine, dedicated entirely to Irish ancestral research. Buy a single copy or subscription to Irish Roots magazine. Irish Roots magazine is an essential tool for all those undertaking Irish ancestral research. Packed full of tips and tools to help you trace your elusive Irish ancestors – it has something to offer everyone from the budding family history enthusiast to the more experienced research. Irish Roots magazine is a must have for all those with Irish ancestors. The magazine is a celebration of Irish ancestry, heritage, culture and tradition.